Nearly a year after joining the Star Wars franchise as a young Han Solo, Alden Ehrenreich is adding another classic sci-fi property to his resume. Deadline brings word that Ehrenreich is the first addition to the cast of the Brave New World series. He’ll star as John the Savage in the latest adaptation of Aldous Huxley’s iconic dystopian novel. Additionally, Deadline suggests that Brave New World may no longer be heading to the USA Network. Instead, it’s now rumored that it will be the flagship series for a NBCUniversal streaming service in 2020. In the book, John inhabited the Savage Reservation in New Mexico, far removed from the novel’s primary New London setting. Whereas New London’s World State government espouses a mantra of “Community, Identity, Stability,” the Savage Lands are home to fixtures that have long been eradicated in the rest of the world, including natural births, disease, and other languages. When New London residents Bernard Marx and Lenina Crowne visit the area and get caught up in a violent revolt, they are rescued by John, an outsider even among other “savages.” Bernard and Lenina eventually agree to bring John back to the World State with them. Unfortunately, his arrival threatens to disrupt the natural order of their seemingly Utopian society. Kristoffer Tabori and Tim Guinee played John in separate Brave New World adaptations released in 1980 and 1998, respectively. 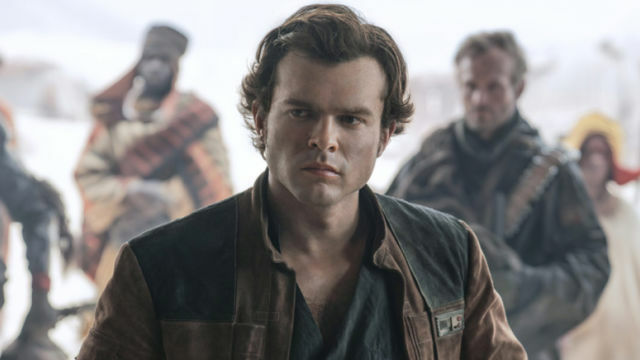 Ehrenreich hasn’t made any appearances in film or TV since Solo: A Star Wars Story hit theaters last summer. However, his casting proves that NBCUniversal is looking to enlist big names to fill out the new series’ roster. NBCU announced the series in February with comic writer Grant Morrison handling writing duties alongside David Wiener and Brian Taylor. Wiener will also serve as the project’s showrunner. Brave New World will premiere in 2020. How do you think Alden Ehrenreich will fare as John the Savage? Let us know in the comment section below!